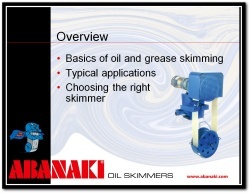 Thank you for requesting our Beginners Guide to Oil Skimming Webinar. This 10-minute video tutorial will cover the basics of oil skimming and why it is regarded as the most cost-effective solution to removing oil from water. Fill out the form and have immediate access to the webinar.